Shield Or, a dolmen Azure, in orle three chestnut burs Vert cracked Gules with leaves argent fimbriated Vert and alternated with three 5-point stars Azure. 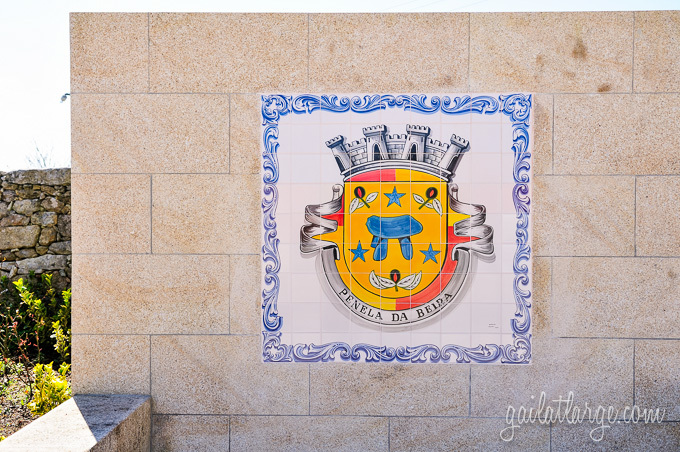 Mural crown Argent with four visible towers (town rank) and white scroll with inscription in black capitals "PENELA DA BEIRA". The word "penela" is a diminutive of "pena", one cognate of a polysemic homonym group, meaning "hill" or "peak" - these arms not canting. 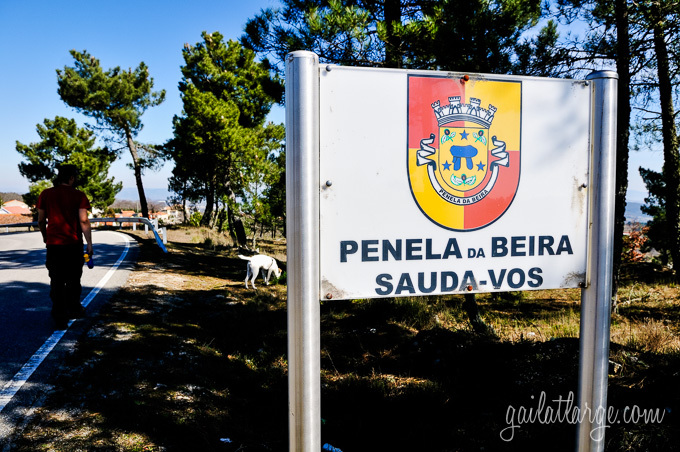 Penela da Beira Commune is one of the seven communes of Penedono Municipality; it had 353 inhabitants in 2011 and covers 16.0 km².